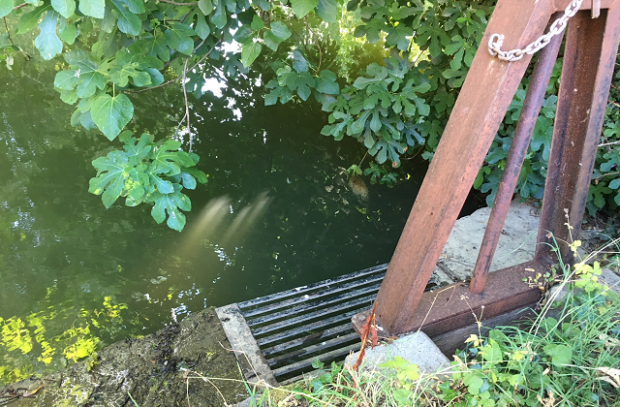 My name is Simon, I’m Lead Team Member for Operational Delivery in the Upper Thames catchment. I’ve been here 41 years and I wouldn’t still being doing it if I didn’t enjoy it! I am outside most of the time doing work that makes a difference to people. My job is about keeping all of our structures working and make sure that the river can flow freely in order to reduce flood risk. Day to day I go out with the team clearing culvert screens, removing trees that have fallen into streams and carrying out general maintenance. A lot of it is about reducing flood risk or maintaining bits of kit that measure river flows - ultimately, if these didn’t work there’d be no flood warnings. We start the day early at our office in Osney Yard. We’ve already been given a schedule for the week, but you always have to check in with the team in the office. Sometimes an urgent job will come out of the blue – something that could really cause a problem for people. In that case we deal with it first. But today we’re doing our regular check of some of the sites that need regular maintenance work. There is one last check to make sure we’ve got all the correct kit for today’s job. Health and safety is really important and looking after yourself and others is crucial. There’s obvious dangers like drowning. We wear life jackets and during flood we have to tether ourselves when clearing screens to make sure we don’t get washed away. But even in the summer when we’re clearing a trash screen from the bank or wading through shallow water with a boat to get to a tree, you never know what you might find. You can trip over a bike that someone has chucked in, or come across a sharp bit if metal or used needles in the debris. You never know, and we see these more often than you might think. When it comes to general maintenance where and when we go depends on the location, time of year and rainfall. Today we’re at Castle Mill Brook in Oxford city centre. This is checked at least every 2 weeks during the summer, there is always rubbish and branches falling in, and it accumulates quickly. 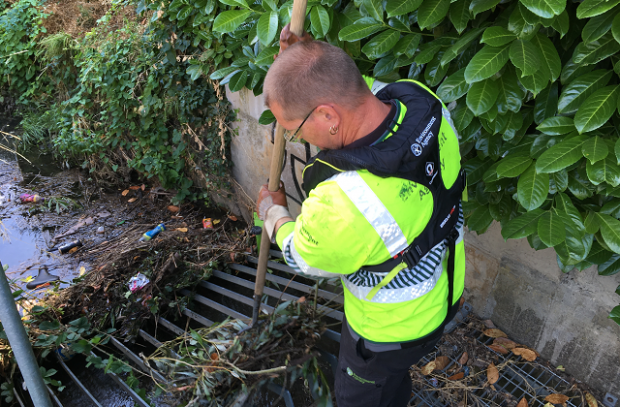 Even before flooding is imminent, our teams are working hard behind the scenes to reduce flood risk to homes and businesses across the country every day. We carry out regular maintenance and repairs, work with other organisations to prepare and advise on flooding matters, and constantly monitor river levels and forecasts .It may sound strange, us doing work to reduce flood risk in the summer, but believe me, the best time to prepare for a flood is before it happens. 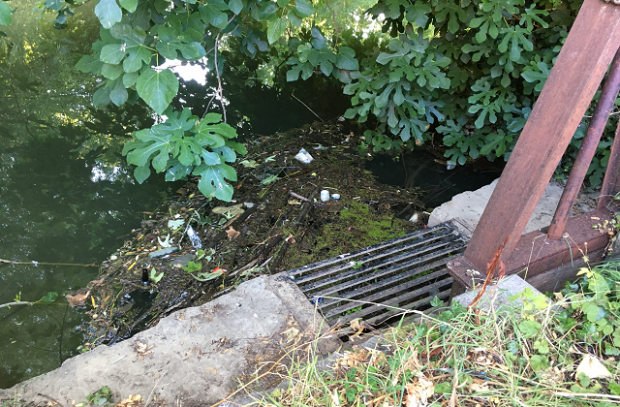 Some sites without structures that accumulate debris or where there is less rubbish dumped don’t get checked during summer, unless of course something is reported. 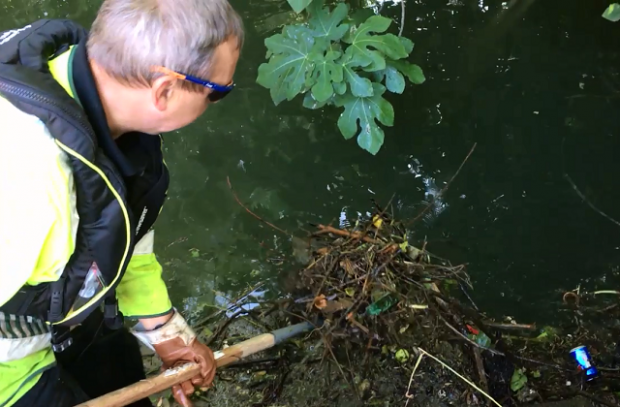 But come autumn and winter when we’re gearing up for floods, or after a flood, we’ll be out doing the work of checking all of Oxford’s main rivers and streams to reduce flood risk and protect people. We get stuck in clearing the trash screen. It doesn’t look like much from the bank, but there is debris all up the screen and it takes time to clear. Then we walk up the rest of the brook to see what else needs doing. Today the other screens look pretty good, but there are some large fallen trees. These are too big to deal with right now as we’ll need chainsaws and access will have to be from the water, and that means a boat. I take a note of that and get some pictures so we can get the job booked in. The next site is the Boundary Brook. Although the water is low at the moment it goes up fast with a bit of rain and if there is accumulated debris it’ll back up and flood the road. We get in and clear this site too. We get a wave from a passer-by while we’re doing the job. Later a local resident I recognise stops and says thank you for our hard work. This makes my day. When this happens you suddenly remember how important our work is to people. Local residents are also our eyes and ears. 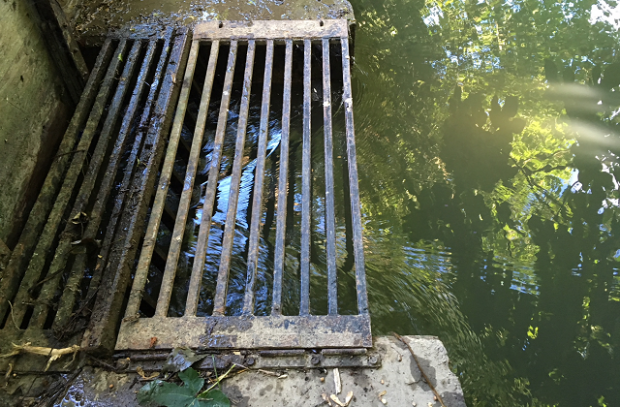 We always tell people - if you see a blockage call the 24 hour incident hotline 0800 80 70 60. Once we know about it we can assess it, and if necessary take action. The debris we’ve cleared is transported for disposal. The team will separate out the green waste as much as possible and the rest gets put into the general waste. Then it’s back to the office. Debrief. Add anything to the jobs list that we’ve seen while out and about, or that has been reported to us. Then back for more tomorrow. Finally, someone who does an actually physical and productive job that involves real outcomes. Shame the maintenance workforce makes up a tiny % of the EA, whilst the rest stare at maps of rivers in an office miles away.